In a city full of beautiful distractions—nature, people, music—it is often easy to forget what is going on beneath your feet. However, for officially more than a quarter of the population in Rio de Janeiro, but likely much more, what is happening, or more appropriately, not happening, is difficult to ignore. 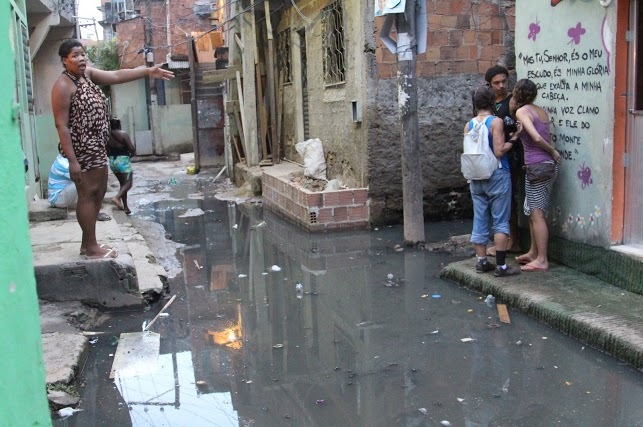 According to the Ministry of Cities, 30% of the population in Rio de Janeiro is not connected to a formal sanitation system, and even in areas with formal connections, only about half of sewage waste is treated before entering into waterways and eventually the ocean. These figures are a best case scenario, as many informal areas in the city are unaccounted for, and even in areas that technically have sanitation, oftentimes the systems are not in proper working condition. For a city with rising global importance, Rio is extremely behind in the area of sanitation. Even within Brazil, Rio de Janeiro falls short. In São Paulo, 96.1% of the population has access to sanitation, with Belo Horizonte boasting an impressive 100% access. Recently CEDAE, the state’s water utility responsible for providing residents with access to water and sewerage, has been coming under increasing scrutiny. 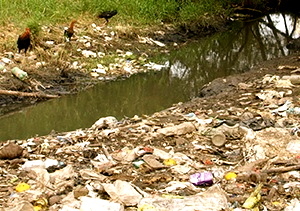 With recent events such as a major water main bursting in Campo Grande on July 30th, killing a child, injuring thirteen, and destroying homes, as well as recent reports revealing that only 39.2% of the population of municipalities that have contracts with CEDAE for sewage collection are in fact connected to a formal network, Rio de Janeiro’s sanitation problems are starting to gain media attention. Throughout the city, access to sanitation has been a key theme in protests criticizing the focus of government investments. 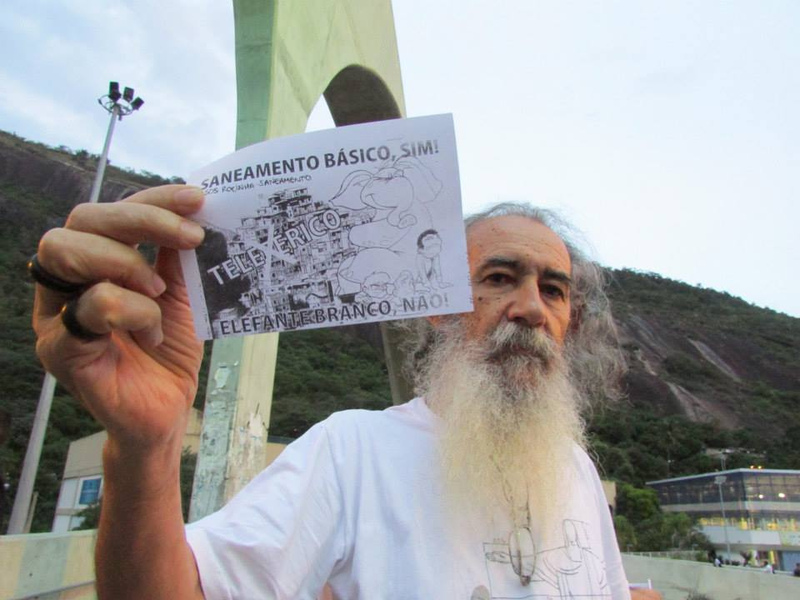 In Rocinha, protests and meetings led by Rocinha sem Fronteiras and SOS Rocinha Saneamento have been criticizing the implementation of a cable car instead of basic sanitation. These groups show the population recognizes the critical importance of sanitation, even if the government chooses to invest in other, more visible projects, often benefiting fewer. 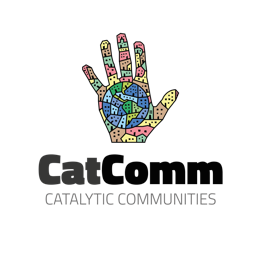 Meu Rio, a citizen petitioning and campaigning website, has started a Sanitation is Basic! campaign to put political pressure on providing city resident’s with basic sanitation. Why is this a serious problem? Although more residents are starting to campaign for sanitation in their communities, lack of education of the severity of the problem continues to act as a major barrier. In a recent survey done by Instituto Trata Brasil, a public interest organization working to bring the universalization of sanitation to Brasil, 1,008 Brazilians from 26 major cities around the country were interviewed. When asked which areas were most problematic in their city, sewerage only came in as the sixth most serious problem, after health, security, drugs, education, and transportation. However, lack of formal sanitation is directly connected to a myriad of health, environmental, and social problems. Another study by Trata Brasil shows that the greater the deficit of proper sewerage, the lower the life expectancy at birth. Every year 217,000 workers in Brazil miss work due to gastrointestinal problems linked to poor sanitation, each missing an average of seventeen hours of work. Children suffer from missing school as well. Studies show that children with access to sanitation have 18% higher educational attainment than those without access. Basic sanitation is just that, a basic service, and an integral part of urbanization. Sanitation serves as a building block to improving quality of life, guaranteeing safe and healthy living conditions for residents. A recent study by the University of São Paulo shows that investing in sanitation is even more important than education in the alleviation of poverty. In addition to serious health risks, lack of sanitation has widespread detrimental environmental effects. 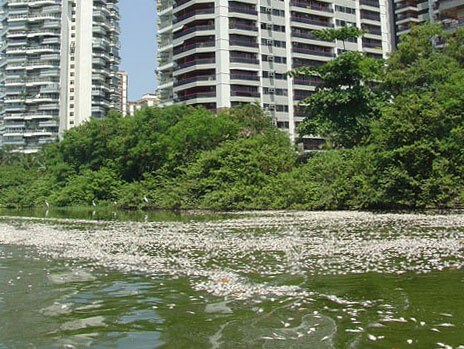 The majority of Rio’s sewage enters, untreated, into rivers, lagoons, and eventually, the ocean. The problem is exacerbated in the city by insufficient trash removal. Informal sewage systems mix with trash which is washed away into the ocean or which exacerbates natural disasters during strong rains. 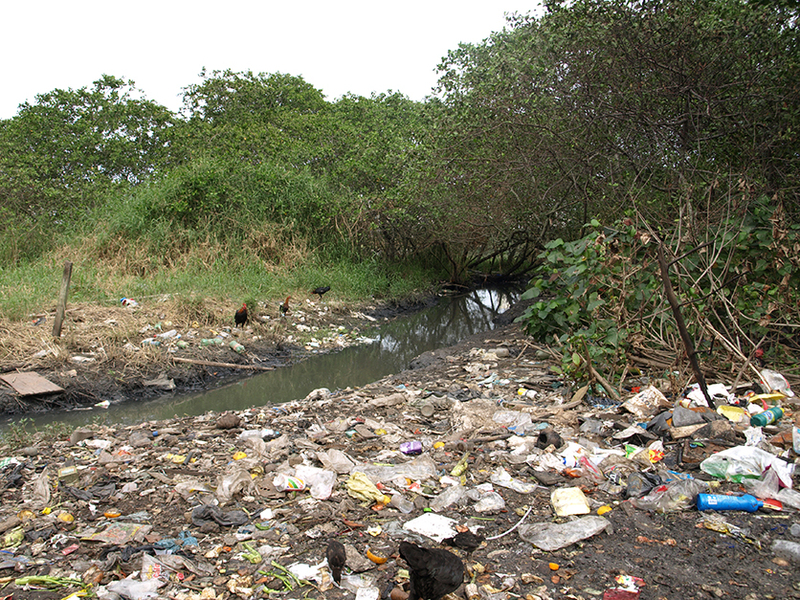 The majority of residents without access to sewage collection belong to municipalities located around Guanabara Bay, or have rivers and streams that flow into it. Of the 750,000 homes without sewerage, it is estimated that 630,000 belong to this area. Consequently, 84% of uncollected, untreated sewage in the metropolitan area of Rio flows directly into Guanabara Bay, scheduled to host a series of Olympic Events in 2016. Despite studies indicating that for every R$1 spent in sanitation, R$4 are saved in healthcare, there has been a historic lack of investment in sanitation in Rio de Janeiro. Mauro Kleiman explains that in Rio, “sanitation is seen as a cost, rather than an investment.” Historically, the government has chosen to invest in other areas. 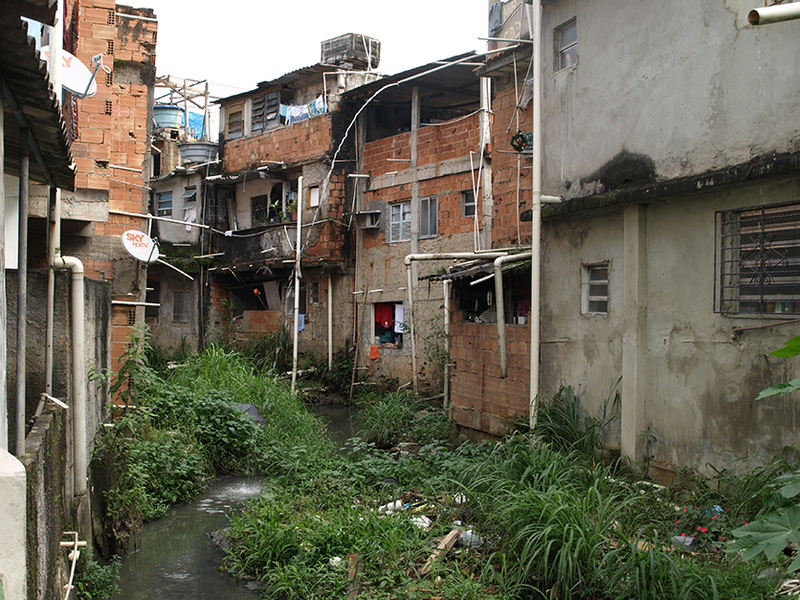 “There is a hierarchy of investments [in Brazil], industry first, then what is left over goes to urban projects, first in areas of high income, then finally with the poor always being the last to receive government investment.” As follows, investment in sanitation infrastructure has been low in all parts of the city, and even worse in poorer areas. In the late 20th century, starting in 1995, the government created several programs focusing on increasing access to water and sanitation. However, although these programs made individual improvements in increasing access to water, sanitation was generally overlooked. According to Kleiman, these programs had small, “partial” successes, principally in improving access to water, but doing almost nothing to improve sanitation. One difficulty with sanitation is that although it produces widespread benefits, they are nearly invisible. From a political perspective, less visibility means a program will be of lesser priority. Investment is far from where it needs to be. In order to universalize sanitation in Brazil, the government needs to invest 0.63% of its GDP. It currently invests only 0.22%. The latest set of governmental promises relating to sanitation have come as part of the Olympic Legacy plan. De-pollution of Guanabara Bay, Lagoa Rodrigo de Freitas, and several lagoons in Barra de Tijuca are part of the city’s “Plan of Urban and Environmental Legacy–Rio 2016”. Today, only 32% of the sewage that reaches Guanabara Bay is treated. The Legacy’s goal is to have 80% of the sewage treated by the start of the Games in 2016, a tall order without major government intervention. Plans for Rio’s elite region of Barra da Tijuca, currently lacking in proper sewage treatment, include the construction and expansion of a formal sanitation network and water treatment systems. Jacarepaguá, an area with especially precarious sewage conditions is slated to receive dredging treatments, new water treatment plants, an expansion of the sewerage network, and implementation of environmental education programs. However, given the history of unfulfilled promises related to sanitation, there is great doubt over whether these initiatives will in fact come to fruition. Just last month, the Brazilian government vetoed a UN initiative working to assess and improve water access and sanitation conditions in Brazil, a sign that sanitation still falls short of being a government priority. Sanitation systems in favelas often call for many small systems, in lieu of one large system, in order to adapt to differing conditions, such as topography and spatial constraints, and ensure access for all residents. Education on how to use each system is also a necessity. In many cases, sanitation projects that have been implemented in favelas have failed due to lack of proper education on how to use the system. Another large barrier is system maintenance. Even after implementation, systems need proper maintenance or there is a risk of losing the investment entirely. Up to now, the government has yet to devise a widespread sanitation plan for favelas that adequately addresses their unique conditions. Plans and promises regarding sanitation have been small-scale, haven’t been completed, or do not work to adapt to site conditions. In a city renowned for its natural beauty, the environmental, health, and social risks of poor sanitation infrastructure must be taken more seriously. This article was written by Emily Hosek, and published on August 21, 2013.